We have licensed guides that offer up to 4 people in your party per boat a full or half day of fishing in the Apalachicola Bay and River. This no hassle fishing experience allows you to relax and let someone else do the work for you. 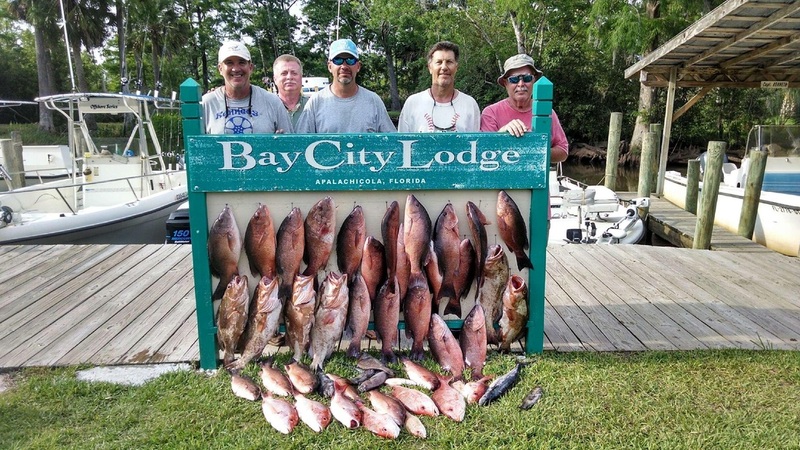 Our guides use 22-foot, center console, open deck style boats and fish primarily for salt-water fish in the Apalachicola Bay but venture into the river and to the nearby barrier islands season dependent. The cost for a full day of approximately 8 hours of guided fishing is $375 per boat per day plus gas, bait, and rod & reel rental if needed. Gas and bait typically cost $60.00 per boat. Rod & reel rental is $10 per person per day full day and $5 per person each half day. Guides will provide all the licenses, life jackets, and tackle you need. A half day trip, approximately 5 hours, is $325 per boat per day plus gas and bait. All you need to do is pick your favorite drinks and snacks from our store, and sack lunch prepared by our restaurant that consists of sandwich, chips, and snack upon your request the night before and you are ready to go. 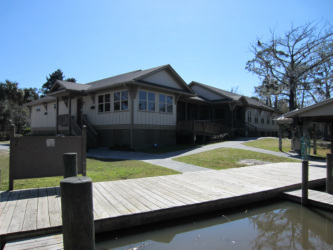 Our brand new facility completed in April 2012 has all the items you need to have a relaxing fishing vacation. We carry fishing attire, boating supplies, tackle, bait, ice, hygiene items, all your favorite drinks, snacks, and anything else you might need during your stay. We pride ourselves in accommodating your every need in our camp so you can enjoy more time out on the water. 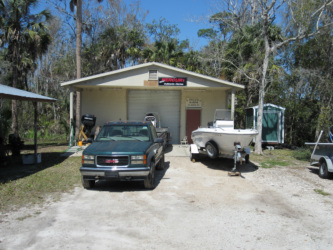 Bay City Lodge offers their customers the convenience of boat storage. 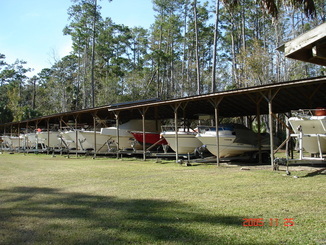 We have 70 dry boat storage slips onsite only 100 yards off the boat launch point no matter the size your boat. There is currently a wait list for future openings. Please contact the office to place your name on the wait list or for more information. Apalach Marine Works, a subsidiary company to Bay City Lodge, is an authorized Mercury Marine sales and service dealer. Apalach Marine Works can provide Bay City guests onsite marine engine repair and maintenance services on a variety of boat motors. Interested in purchasing a new boat motor? Apalach Marine Works has been an authorized Mercury Marine dealer for over 40 years. We offer competitive pricing, onsite installation, and friendly service. We invite you to call Apalach Marine Works at 850-653-8731 for more information. 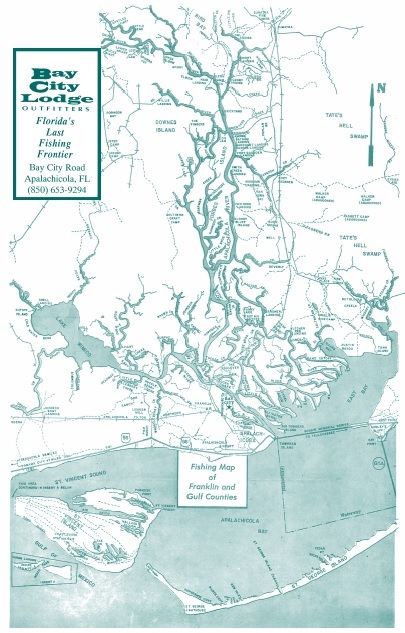 Photos, regulations, species information, and Florida Hunting/Fishing laws provided by the Florida Wildlife Commission website at http://myfwc.com/wildlifehabitats/profiles/fish.